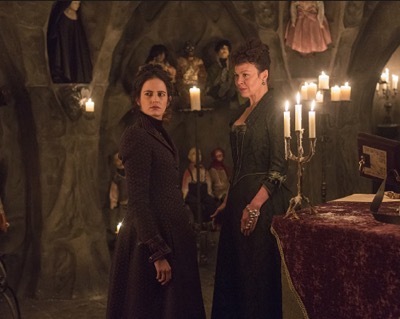 Home / Awesome Anushika • Penny Dreadful • Reviews / Penny Dreadful Season 2 Episode 10 Review And Recap! And They Were Enemies! 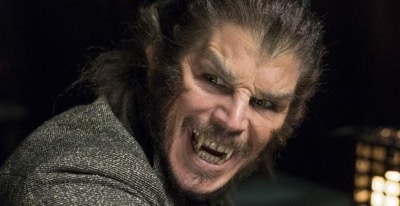 Penny Dreadful had its season premiere this past weekend and it was an awesome episode. 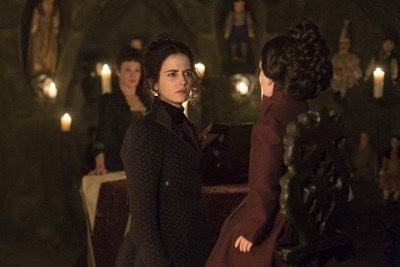 Speaking of Awesome… Awesome Anushika has done a wonderful job of reviewing and recapping this season of Penny Dreadful! It’s great to read such detailed and fantastic writing. 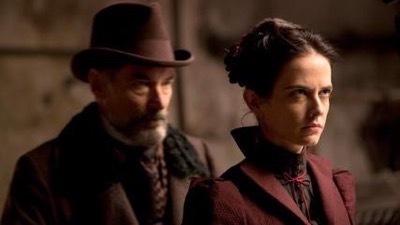 Speaking of wonderful writing, check out Anushika’s recap of the season finale of Penny Dreadful! The season finale opens with Ethan struggling to get out of the trapped stairwell. Even his “Beast Mode” is no match for the heavily guarded doors in the castle. After locking Ethan in, Hecate moves her way down to the chamber of dolls and hide behind the shadows. It seems like she has no intention of joining in on the fun. We see Vanessa having a full on conversation with her mini me. Not like that wasn’t creepy enough, we find out that the devil himself is taking her “Toys-R-Us” form to manipulate her. No better way to mess with someone’s head than be them. Vanessa resists and fights for her soul. They confront her about her entrance into the dark side. She embraced the evil power the moment she employed it to do her unspeakable deeds. The doll places an irresistible deal in front of Vanessa in return of her willingness to gift her soul. She is given a taste of what normal life could be for her and Ethan. Something they both desire so dearly. Meanwhile poor Ferdinand Hangs by his throat. One of the witches are about to snap his pretty little head. Dr. Frankenstein and Sir Malcolm are going through their own versions of hell. Frankenstein is surrounded by his monsters that reflect the many faces he possesses, while Sir Malcolm cowers from his peeved family. The magnitude of their guilt weighs them down to their breaking point. Even though the two are different in many ways, they share the passion and sense of discovery, pushing the limits to expose new worlds. They are presented a singular path towards atonement, death. Taking their own lives to be with the ones they loved and created. Vanessa’s long lost dream remains just a dream. The doll promises her relieve from her never ending pain and suffering. Hollow promises? It urges Vanessa to end the torment and kiss as means of an agreement. Kissing yourself to agree? I’m sure there’s a less disturbing version to this whole agreement. What happened to the good old parchment and ink/blood? Vanessa leans in to seal the deal, but pulls back at the very last second. Such a tease! Tables turn as she takes all the power into her hands. After a chilling growl, chants started flying left and right. It was no rap battle, but it sure raised the roof and shook the house. I mean literally. Vanessa was all up on her face until the doll cracked into itty bitty pieces. Baby scorpions came rushing out of the destroyed doll. I think it’s safe to assume Vanessa just released herself from whatever hold the devil had on her. Vanessa is one badass chick. Her parting words says it all, “Beloved, know your master.” Dam girl! I have to admit, I was waiting for this moment the entire season and it was beyond awesome! Madame Kali turned into an old prune right in front of our eyes. In the midst of this chaos, Hecate hiding near the entrance releases Ethan out in to the room. As Madame Kali was approaching Vanessa with a knife, Ethan storms in to the room and slits her turkey neck into pieces. Vanessa instantly realizes the identity of the beast standing before her. Ethan did not make a move. Even in his deranged mode, he knew she wasn’t a force to be recon with. Still cornered by one of the witches, Ferdinand finally pulls the trigger to free himself. He uttered the most epic line before he made his kill shot, “Never underestimate the power of a queen with lovely hair my dear.” How can you not love him? I enjoyed that scene a little too much. Have to appreciate his sass and fabulousness. Everyone recollects themselves after the power of evil is broken. Ferdinand, Victor, and Sir Malcolm find Vanessa crying over Sembene’s lifeless body. Mr. and Mrs. Putney attempt to cut a deal with John Clair. John shows interest, but things get pretty ugly when he shows his true strength. He has no desire to be part of a freak show. John is a man who seeks meaning in his life and this the furthest away from it. Let’s just say that John definitely sealed the deal with blood. Their daughter definitely didn’t see that one coming. Meanwhile, back at the witch’s castle, Hecate cut her loses by torching the whole place to the ground. She sure packed lightly for her next adventure. I get a feeling that this won’t be the last time we’ll be seeing her. Victor goes berserk when he notices the absence of Lilly’s belongings. He knew exactly where to look. 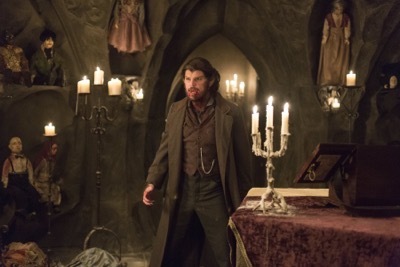 Victor waltz into Dorian’s mansion with the intention of taking Lilly home. Dorian and Lilly were dancing around in the ballroom with a “Picturesque” audience. Victor had no idea what he was about to witness. As if he didn’t have enough allusions for the night. Out of rage Victor pulls the trigger on Lilly and Dorian. Both continued their conversation as if a flaming hot iron just did not ripped through their bodies. Mortified Victor stood frozen in front of the couple as they discussed their intent to murder him. I guess it’s his lucky night. First he dodged the lethal needle and now a bullet. Dorian and Lilly paints the town red while Victor stumbled his way back dumbfounded. Sir Malcolm decides to take Sembene’s body back to Africa to give his soul peace and honor him. Vanessa walks into her room with Ethan waiting for her. She urges him to stay with her to walk in the darkness together. Shaken by the recent events, Ethan walks away to clear his head. The next morning, Vanessa wakes up to a note left by Ethan. It seems like they won’t be doing much together after all. Ethan shows up at Inspector Bartholomew’s office. Seeking an end to the ongoing madness, he confesses to all the crimes. He gets an unpleasant surprise when the inspector confesses to his own little secret. Instead of hanging him for his crimes, Ethan will be dragged back to the United States. Dr. Frankenstein might need a lot more than his usual dose to mask the pain this time around. Running out of veins in his arms, he moves down to his hands for relief. Nope, not that! This man needs rehab asap! Vanessa goes down to the shelter in hopes of finding John Claire. Not shocked that she feels a bit abandoned and lost. Her day keeps getting worse. Everyone she made a connection with is leaving. John invites her to join him, but she walks away since she wishes no pain on him. Ethan, Sir Malcolm and John Clair are all on ships off on their own new journeys. Wow, I can’t believe it’s already over. This season was definitely intense and we found out a lot more about the characters’ history. Hope you guys enjoyed it. I could only imagine what awaits them next season. They dealt with vampires and witches. Maybe they’ll come up against zombies next. Who knows, but I’m excited to find out. 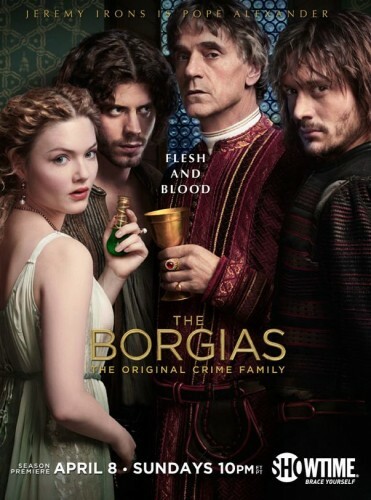 The Novel Strumpet Reviews Showtime’s The Borgias Season 2! With Jeremy Irons! François Arnaud! Holliday Grainger! and More! Sleepy Hollow: The Complete Second Season Blu-ray Review! Will Heads Roll In The Newest Season? A Dog’s Purpose Blu-ray Review! Neighbors 2: Sorority Rising Blu-ray Review!